Leadwire: Each lock comes with 3pcs 4" long quick connect leadwire at no extra charge. 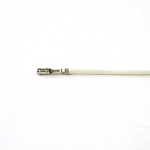 One connector per wire. Build to order by Medeco authorized manufacturer. Will assemble this Medeco 65 Series high-security single pole key switch lock to each customer's demand and assign a key code restricted to that customer. 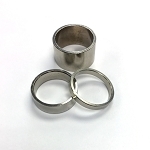 Keyway is Medeco Biaxial. Two position with one or two key-pull option. Each lock comes with 3pcs 4" leadwire at the listing price. Extra can be added at option section. 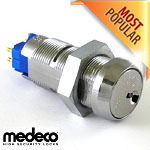 Medeco® 3/4" diameter, high security key switch locks offer a wide range of electrical functions with the physical security and patented key control of a Medeco cylinder. 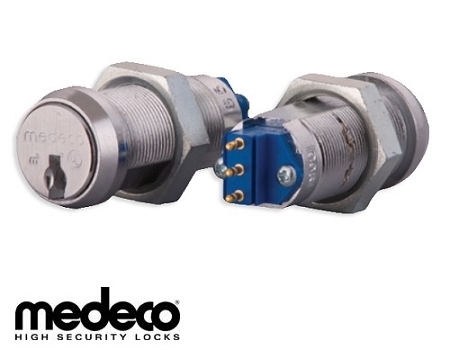 Available in either single or double switch models, Medeco key switch locks are ideally suited for applications requiring controlled access to electrically activated systems, including alarms, ATMs, time delay safes, encryption devices, heavy power equipment, control panels, and electrically accessed doors and gates. key switch locks use a five pin cylinder to maximize keyed different and master keying capabilities. 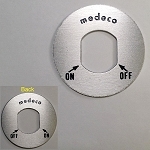 Medeco design and engineering resources are available to assist customers with special functional requirements. 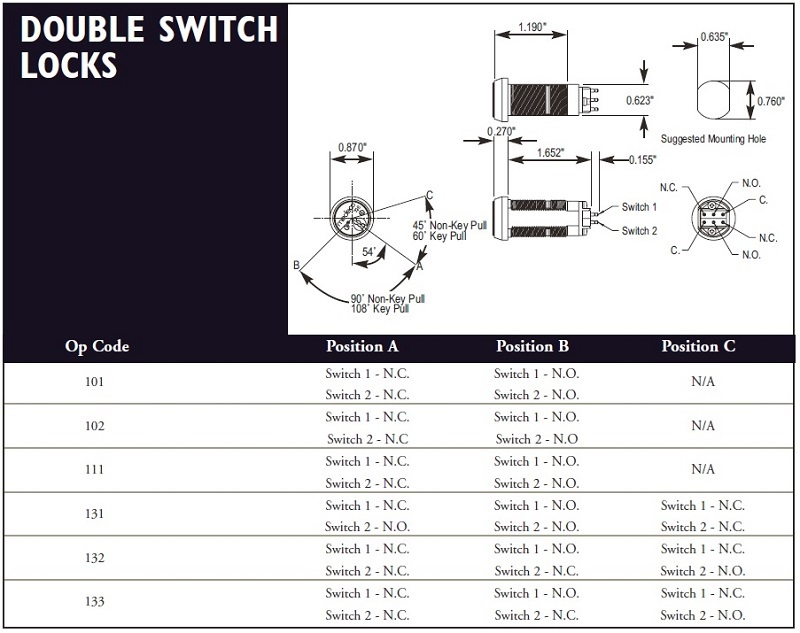 Available in single or double switch models, momentary and maintained positions. 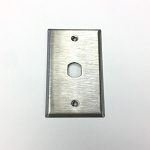 Silver or gold contacts (for low amperage applications) designed to accept quick connect leads. 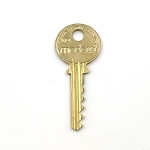 Medeco key switch locks can be re-keyed by authorized Medeco Service Centers in case of lost or stolen keys. 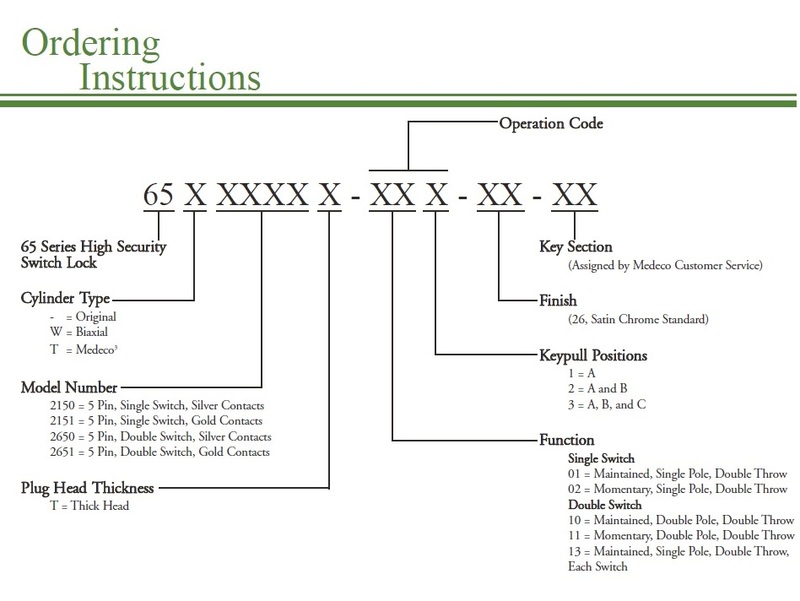 Medeco key switch locks can be keyed in with other 60 series products (10 series products may be keyed into existing 60 series systems). Received items in a timely manner, components were as specified, high quality and hardware was a drop in replacement for my application. Price was hard to beat! Certainly would suggest using this supplier and key manufacturer in the future.. Happy to find the OEM part. The description and pictures of the piece were the most help and were totally accurate. The part fit my application just as the original piece that had been in service for approximately 30 years. Finding the piece saved a good deal of time and money and well worth the price. 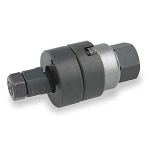 The piece performs well and is the intended solution to the application. Five pin, 3/4" double ?D? mounting standard. Rated at 7 amps resistive at 125/250 VAC. 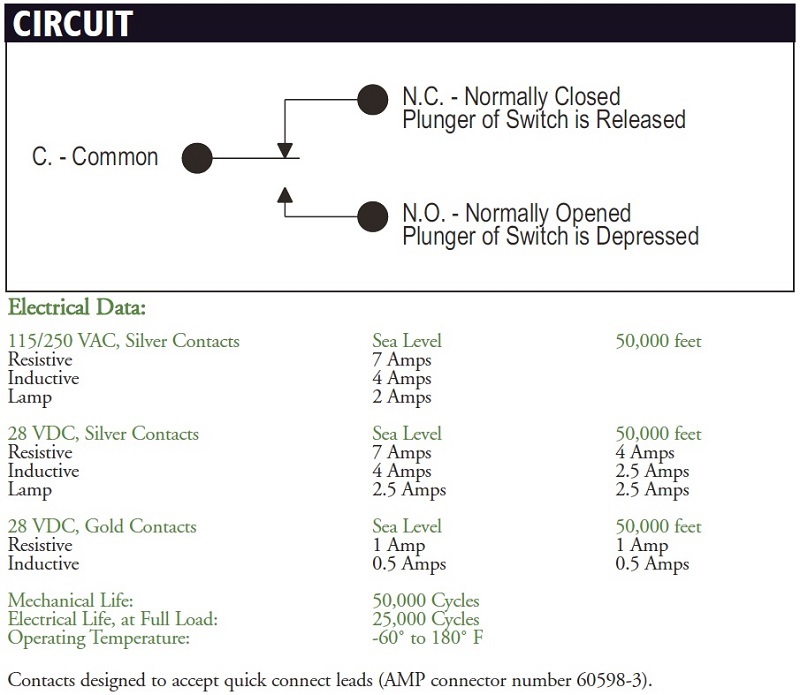 Contacts designed to accept quick connect leads (AMP connector number 60598-3).